Good morning and Happy Monday!! It's the first day of October??? Can you believe it??? Wishing you a wonderful month filled with my chances to capture memories!! And, you know - it's Monday, so that means it's time to introduce you to another of our awesome MyMemories Designers!! This weeks it's Bren from *Sassy Designz*!! She's got some super fun things in her shop at MyMemories.com - and be sure to check it out this week - it's ALL on SALE!!!! So pick up some great goodies at great prices!! Hi there, I’m Bren aka Sassy Designz. First a wee bit about myself. I’m a mother, wife and grandmother as well as a graphic artist. I enjoy designing web pages and digital scrap booking kits. There’s nothing finer than making a living doing something I love, unless it’s being married to my best friend and soul mate. My husband, of over twenty years, and I have a family of six kids and ten grandkids, so we’re pretty busy folks. In my spare time I love to knit, tat, sew, draw . . .
Well, I also like to read, write a bit, camp and watch old movies with Bob. Take a peek at just some of the goodies in her shop! Be sure to check out her blog and FB page for more fun stuff!! And she will have the kit of your choice for FIVE Lucky winners! Be sure to comment below and tell her YOUR favorite kit to enter! Yahoo! Thank you- I am very excited! An email is on the way. I love the Give Thanks! kit. Looks so fun! I like Mummy & Friends. Down By The Sea is a lovely design. I can see it being used for summertime swimming fun. Thank you so much for this post. 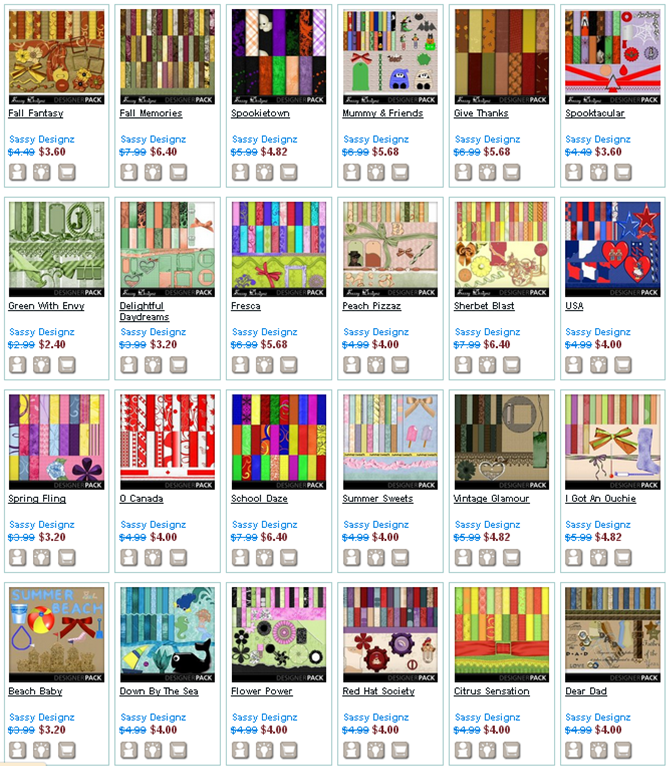 I want to let you know that I posted a link to your blog in CBB Digital Scrapbooking Freebies, under the Page 2 post on Oct. 02, 2012. Thanks again. I love your Expecting Kit. such awesome kits! I would love Mummy & Friends! thanks so much for the chance! Your Fall Memories collection is gorgeous! Thank you so much for the chance to win! Peach Pizzaz look awesome and the rates are really in to the budget...All the stuff is really good and I has been looking for most of the things...thanks for resolving my issue! !